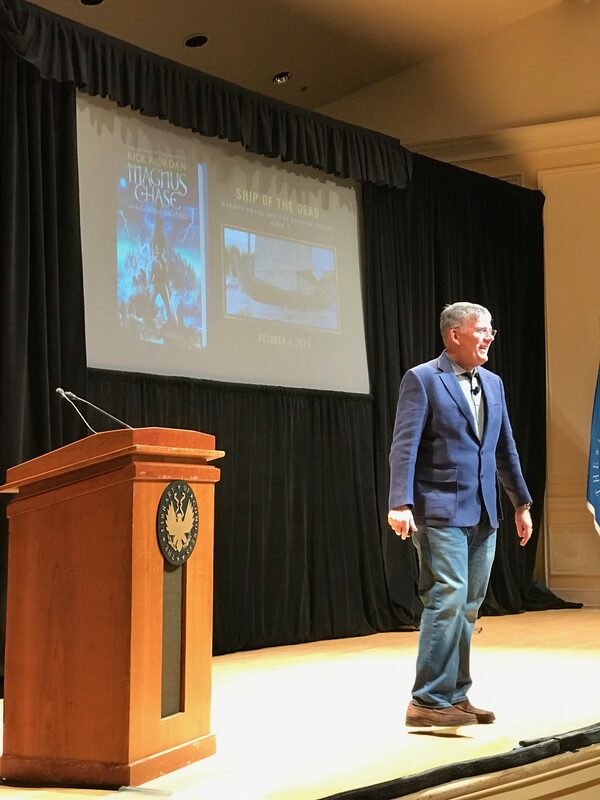 I was invited to the Library of Congress in Washington DC this week to visit with author Rick Riordan before he kicked off his national tour for his newest book, Magnus Chase and the Gods of Asgard: The Ship of the Dead (Book 3). No compensation was received, but I did get to take home a copy of the book and a t-shirt…plus, he autographed my copy of The Hammer of Thor (book 2)! Amazon affiliate links are used within this post. I was running a little late on my day trip down to the City. 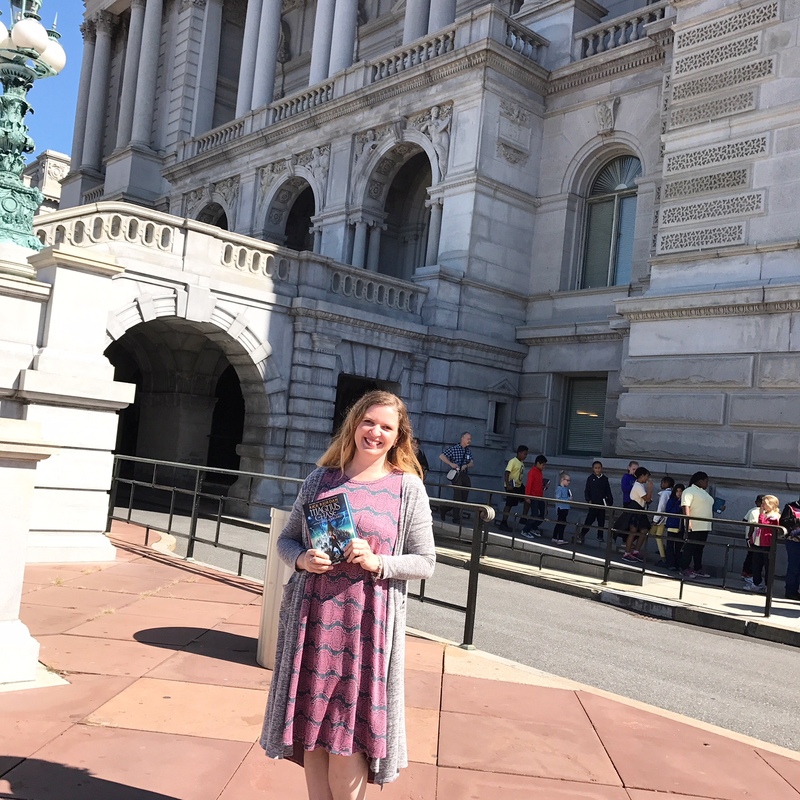 I blame the Metro (which always seems to take longer for my than it should) so by the time I got to the Library of Congress, it was just about time for my interview slot. 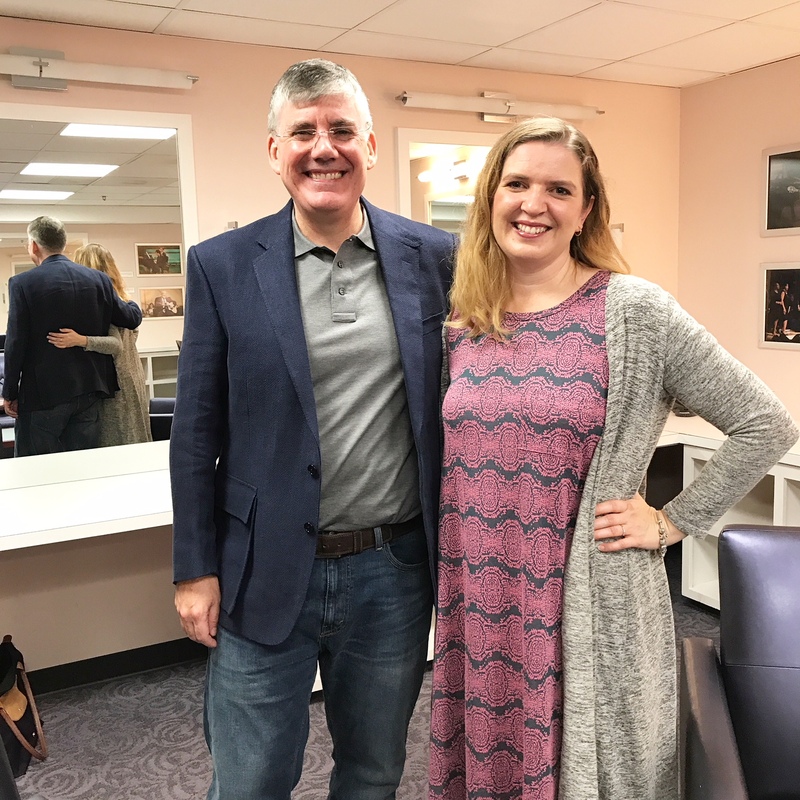 Thank goodness Rick Riordan is a friendly, approachable person, because I admit I was a little flustered! He put me at ease as soon as we sat down together. I started off our interview telling Mr. Riordan about my oldest son’s experience with the Percy Jackson series. My son – now 16 – was very anti-reading in elementary school until he got hooked on the Percy Jackson books. He read the 5 Percy Jackson novels cover to cover and then started over again from the beginning…multiple times. Since then, he has been an avid reader and always has a book with him. I wondered when I read that if Rick Riordan had plans to write more series based on the myths of any other cultures. He told me that he could only write about mythologies that he personally knew, and since he was not an expert in other world mythologies, that he would rather find other authors who could write those stories with authority. That’s where the idea for the imprint, Rick Riordan Presents, was born. Rick was excited to introduce several new books with stories based on Hindi, Mayan, Korean mythology and more. “It’s amazing stuff and it deserves to be better remembered,” he said. Another thing that we chatted about was the idea that it’s impossible to write about a character that is not partly yourself. He said that there’s a part of himself in every character – even the villains. He says that Magnus Chase and Percy Jackson are most like him. He relates the most to Magnus because his cynical personality is just just like his own. I asked Mr. Riordan what kind of research went in to writing his stories, since they were not “simply” works of fiction, but needed to work within the historical stories and traditions. While each series does require research – delving deeper into the myths – I was struck with the fact that he really has been preparing his whole life to write these stories. Rick Riordan has always loved telling stories. He told stories to his students while he was a middle school English and History teacher, and he told stories to his children at home. His first book for children, Percy Jackson and the Olympians: The Lightning Thief, was begun from stories that he would tell his son before bed. Poseidon has always been his favorite Greek god because he loves the ocean, so it was natural to make Poseidon Percy’s father. Mr. Riordan said that he enjoys writing about Greek mythology the most simply because there is so much to write about. So many of the stories of other world mythologies have been lost because they weren’t written down. He has known Norse mythology the longest – he became fascinated with the myths of the Vikings while he was in middle school, and his fascination has only grown with age. I’m excited to finally read The Ship of the Dead, and I can’t wait everything that is coming soon from Rick Riordan! A new demigod is born—this time from Norse mythology. 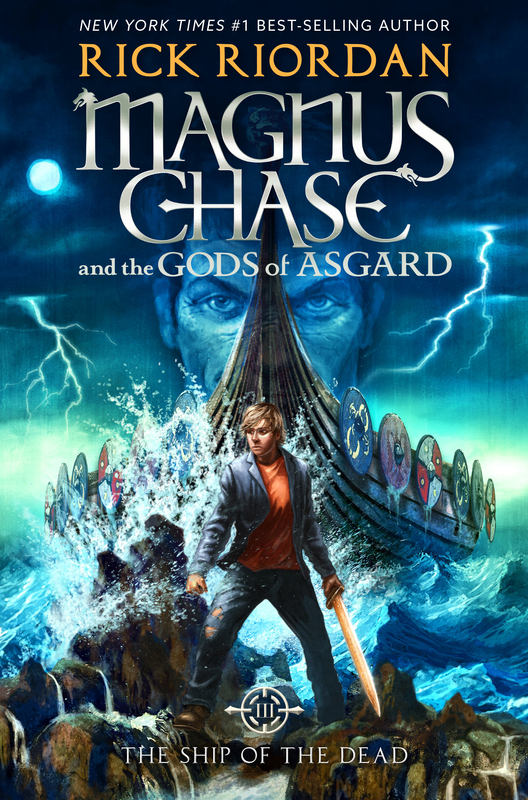 Join Magnus Chase, a homeless boy from Boston, on wild adventures throughout the Nine Worlds that have him meeting gods, giants, elves, dwarfs and more as he discovers his true identity. It must be so rewarding for authors to hear that their books were the ones that inspired a child to love reading! What a really neat experience to meet this incredible writer and my son loves his books too! I would have loved to go to the Library of Congress some day! What a unique experience! Sounds like you had a nice time!